The average lifespan of a Doberman Pinscher is 10 to 13 years. While we’d like to see every Doberman Pinscher live 13 years (or beyond), that’s not always the case. 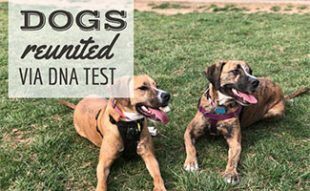 Our dogs experience illnesses just like we do and while some are curable, others can decrease their quality of life or even shorten it. 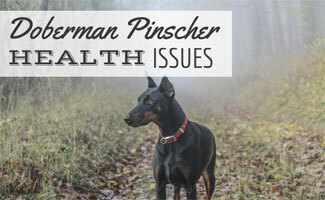 What Are Health Risks For Doberman Pinschers? What Are Common Health Risks For Doberman Pinschers? Below are some illnesses and diseases you should be aware of in case your Doberman Pinscher displays symptoms. Large breeds often have CHD. This chronic condition causes the head of the femur bone to meet with the hip socket incorrectly. Learn More About Canine Hip Dysplasia. Treatment consists of your vet taking an x-ray of the dog’s hip sockets and deciding a course of treatment. Cardiomyopathy is a genetic condition that causes the heart to enlarge. 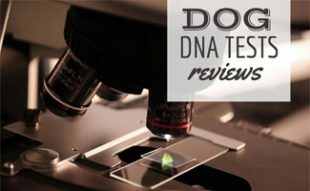 Unfortunately, it usually goes undiagnosed until it is too late and the dog has died. A symptom of cardiomyopathy is difficulty breathing, so if you notice your dog struggling to breathe, you should seek a vet’s care immediately. Demodicosis, or Demodectic mange, is caused by the mite Demodex canis. Mange occurs when the dog’s skin has too many mites. This type of mange may be localized to one area of the dog and is not contagious. The dog may experience hair loss, pustules, itchy skin and crusty lesions. Learn More About Demodicosis. Treatment includes medicated baths or oral medications, based on your vet’s recommendation. This can become costly over time. However, you should avoid any home remedies you may find online. These can make the problem worse. Gastric torsion, or canine bloat, is when gas builds up in the dog’s stomach resulting in it expanding. If the stomach stretches too far, blood circulation to the heart and stomach is cut off, resulting in stomach tissue dying. The stomach can twist at the top and bottom, which stops gas from exiting the stomach. If caught early, the dog can receive emergency care. Unfortunately, canine bloat is most often discovered too late, since it is difficult to diagnose. This fatal disease can take a dog’s life within hours, so if you think your dog has bloat, you need to act fast. Learn More About Canine Bloat. To treat bloat, you must seek veterinary care immediately. The veterinarian will prescribe treatment based on how far the bloat condition has advanced. If it is early enough that the stomach has not twisted yet, the vet may sedate your dog and place a tube down the dog’s throat. This helps remove gas from the stomach. If the stomach has already begun to twist, your vet may perform surgery on your dog. The vet will make an incision in the dog’s stomach to help alleviate gas pressure. The stomach may be stapled in place to prevent gastric torsion from occurring again. Gastric torsion is very serious. If your dog survives it, they should have a complete physical afterward to make sure there is no damage left behind. The removal of any damaged stomach tissue may be necessary to maintain function. Doberman Pinschers may have osteosarcoma, also known as bone cancer. Treatment for osteosarcoma depends on how much the cancer has progressed, the dog’s age, etc. Ask your vet about treatment options. VWD is a common blood clot disorder that is inherited. It occurs when there is not enough Von Willebrand factor, which is a plasma protein that helps blood clot. VWD can result in severe bleeding even from a minor scrape. DNA tests are available to help detect this disease early in life. Unfortunately, there is no cure for vWD. All you can do is control the bleeding and try to reduce the number of bleeding events. Large breeds often have Wobbler Syndrome (also known as cervical spondylomyelopathy), which affects the spine at the neck. Dogs develop a wobbly walk, which is where the name comes from. Treatment consists of your dog’s vet inspecting the location of the spinal compression and determining if surgery is an option. Your vet may suggest bed rest. In this case, you may need to turn your dog from one side to the other every 4 hours to help prevent bed sores. A vet may also insert a catheter to help the dog rest. If the dog receives medical treatment, expect exercise restrictions for 2 months or more. Complications can arise from surgery that you should discuss with your vet. 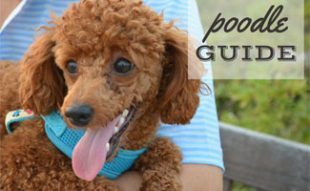 The vet may suggest post-surgical physical therapy to help the dog recover. You have the option to pay for these illnesses out of your own pocket, or you can sign your dog up for pet insurance and have it covered. Pet insurance prevents you from having to make the hard decision between saying goodbye to your best friend and going bankrupt. Learn More About Pet Insurance. 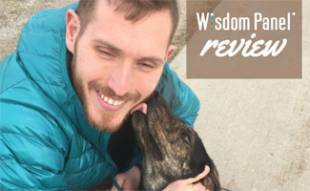 “As an employee of a veterinary clinic I knew when I rescued my Doberman 2 years ago that they had a predisposition to a multitude of genetic problems, so pet insurance for my boy was a must. Four months ago my worst fears came true when he was diagnosed with dilatory cardiomyopathy (heart failure) at only 4 years old. Even with my employee discounts, I knew as a recent college graduate living on a budget I could never have afforded the medications, ultrasounds, radiographs, and visits to specialists my boy needed without Petplan. Sadly, his disease was a degenerative one & there was very little to do besides keep him comfortable. I wanted the very best treatment I could get him (he deserved only the best!) & pet insurance allowed me to give that. While I miss him terribly, I cannot express how much Petplan insurance helped me through this difficult time.” – Kristen H.
Doberman Pinschers can be wonderful additions to your family. In fact, Doberman Pinschers are one of the top 10 smartest dog breeds. They are also known to be good guard dogs for families. Just make sure you give them plenty of exercise, and we’re sure you’ll fall in love with them. What concerns do you have about owning a Doberman Pinscher? How do I know it’s time to put him to sleep? This is something you’ll need to discuss with your vet. My thoughts are with you.